We know why you're here... You're the type of customer who likes to look around, be well informed and get the best deal. This is exactly why you visit Scrooge.co.uk, to check prices and read reviews from other users about your favourite products before you make the critical click and add a product to your online shopping basket. It is no secret that on our website you will find a huge variety of products in hundreds of categories, so there may be occasions that you miss on some of the deals available. But worry no more, we are here to help! We created the Price Drops page, where we automatically gather all products with a significant discount, so you have a full list of every deal found on Scrooge, for you to see at any given time and to find the best deals effortlessly. The filters on this page, help you limit the search within the category that you are interested in, making it easier and faster to find exactly what you are looking for at the best price available. Do not forget that you can always sort products by price, popularity and price drop (the biggest discount will appear on the top of the page). Can this get any better? But of course! On all annual UK shopping events where shops have offers, such as the famous Black Friday deals or Cyber Monday, you will get the opportunity to visit the dedicated Scrooge pages. The Price Drops page on Scrooge is here to stay, so add it to your bookmarks and know where to check for a smarter online shopping! 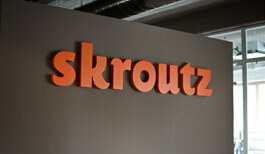 Founded in 2005, Skroutz S.A. is the digital brand behind scrooge.co.uk, offering a wide range of user-oriented solutions across a variety of innovative platforms. The company is committed to modern software development actively creating top notch E-commerce solutions and high performance web pages. Scrooge.co.uk is our popular product & price comparison engine, capitalizing on our long term expertise and know-how in the E-commerce industry. Developed from ground up by us, it uses cutting edge technology to make product comparison dead simple.